Where are we, at the end of March and end of Q1 2019? The first quarter of 2019 has been one of the highest returning quarters in stock market history. The various indexes rose at least 11% with technology being the biggest mover. We have held an “overweight” allocation to technology for a long time. The drop in Q4 of 2018, depending on the account, has been approximately erased. Although nothing is certain in the world of stocks and fixed income, I believe that the markets should remain in bullish mode. I’m pleased with our fund and investment selections. As you can see from the below returns, we stayed generally ahead of the averages which is a very good thing. Note especially the March index returns vs our March fund returns. 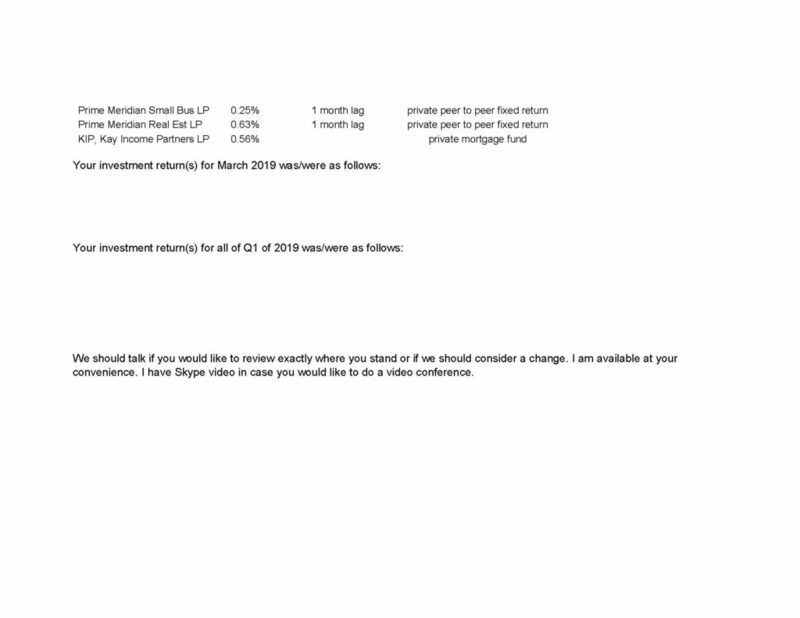 Note that I’ve reported not just your March returns, but your returns for the entire first quarter. We have been doing well. 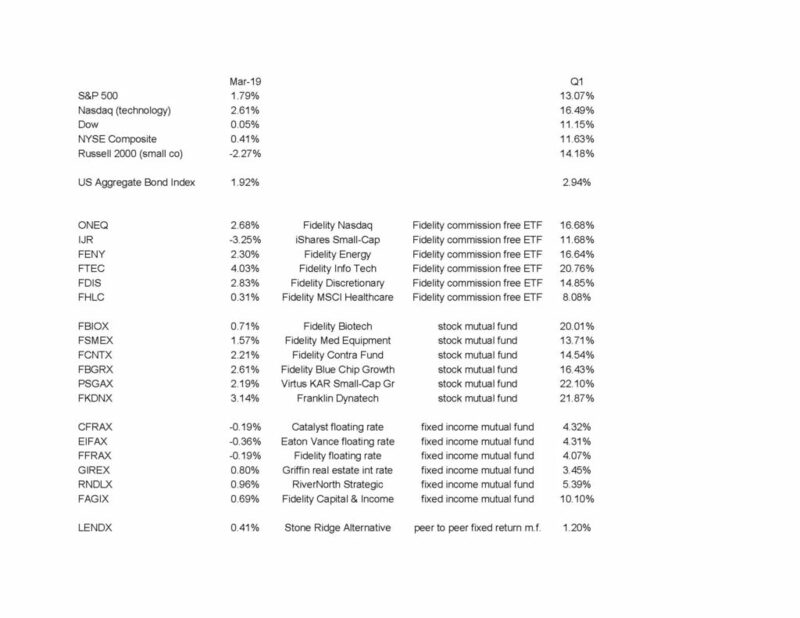 How Did the Markets and our Funds Do in March and Q1 2019? All index and fund returns are courtesy Morningstar.com.